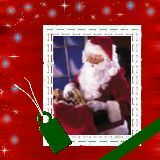 Enjoy this festive Merry Christmas Collection from kezcreates. Get in the Holiday Spirit anytime of year with this Holiday Collection from lisadee. This collection is sure to put you in a festive frame of mind. Get in the Holiday Spirit anytime of year with this Shabby Christmas Collection from sweetdigiscrappin. This collection is sure to put you in a festive frame of mind. 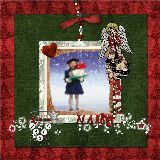 Treat yourself to an early Christmas present with this Shabby Chic Christmas Collection from Sue Angel. It is never too early to get in the Holiday spirit. This festive Holiday Collection from Nayyan is sure to put you in a cheerful spirit. 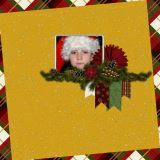 This Christmas Angels Collection is perfect to capture all your favorite holiday memories with your family and friends. Please enjoy this vivid and whimsical Holiday Collection from Sooze. 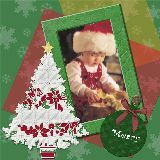 This Seasons Greetings Collection is perfect to create an electronic card to send to your family and friends. 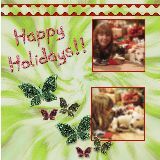 Create a Holiday newsletter to send to your family and friends with this festive Holiday Spirit Collection from Jax. Give the gift of joyous memories throughout the year with this fun and frosty collection. Enjoy this festive yet elegant Happy Holidays Collection from PascaleA. Have fun with the flowing ribbons and decorative ornaments for all you Holiday photos. 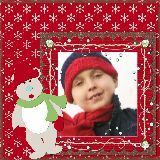 Decorate a digital tree and share it with all your family & friends that can't make it to see your family's Christmas tree this year. Wrap up all your Christmas Pages with the great paper, ribbons and bows in the Mega Christmas Gift Collection. Choose from a variety of ornaments, stockings and trees for all the good little boys and girls in your life.